Christmas is probably one of the most important celebrations of the year for you. During this time, you get to meet old friends, make new ones, meet family members you haven’t seen in a while, and think of the best things that you can do in the coming year to make it successful. Besides these things, another very important thing that you probably do is to give gifts to the people around you – especially your adorable children. To many parents, their children are the most important people in their lives, and because of how important the happiness of their children means to them, finding the right gifts to put smiles on their faces can sometimes be quite challenging. If you happen to be a parent wondering what gift you can present your child with during this festive season, then we suggest you take a moment to think of one of the very important elements that make this season a very joyful one – music! There can be no fun Noel without music, which is why the gift of music makes one of the best presents you can ever gift your child on Xmas! 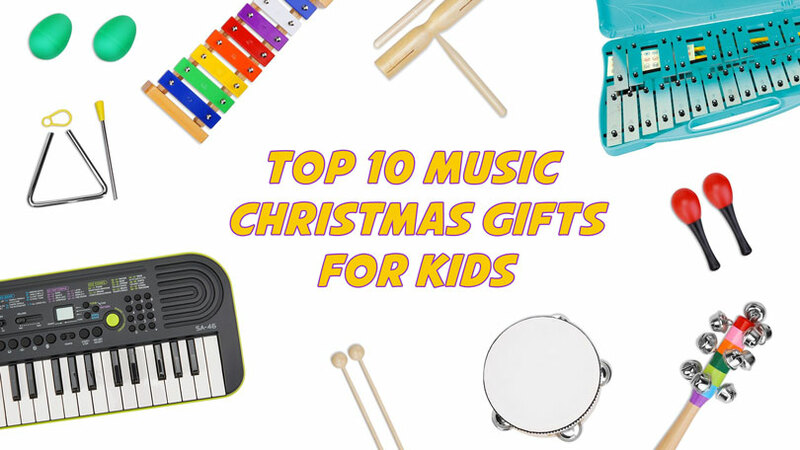 And because we care about you and your children’s happiness this Christmas, we have carefully selected some of the highest rated music gifts that you can give your children in order to make Christmas a truly joyful and memorable one for them. 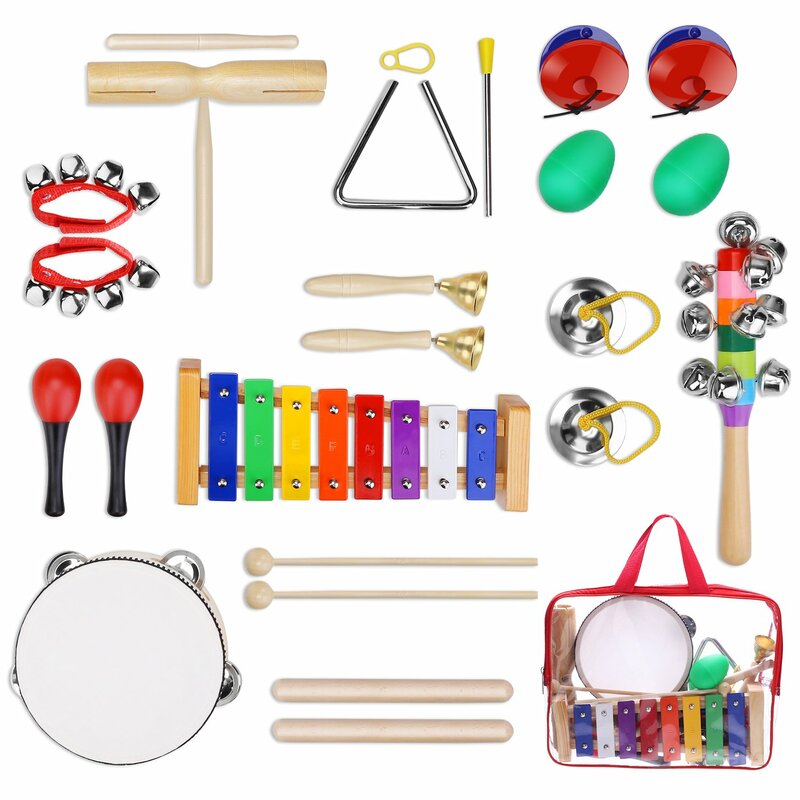 The YISSVIC 12Pcs Kids Musical Instruments Xylophone Set Percussion Toy Rhythm Band Set Drum with Carrying Bag comes with 12 different pieces of musical instruments such as a wooden xylophone, rainbow bell stick, cymbals, tambourine and egg shakers, which are all made from toxic free and high quality materials like metal, plastic and wood, making each of the instruments very safe for the child’s use. Since children are often fascinated by bright and beautiful colors, the instruments come with very attractive colors and are beautifully designed in such a way that your child would be left enchanted by them. Coming in 12 different pieces, the set can be used by an individual child or can be played with by a group of children to increase the fun. Designed with your kid’s musical creativity development at heart, the instruments are carefully manufactured to produce different high quality sounds which will improve your kids’ sensitivity to sounds. Other important skills of children such as hand–eye coordination can be improved when they play with these instruments. In addition to that, your child’s musical interest can also be enhanced with the use of the YISSVIC 12Pcs Kids Musical Instruments. The package, among other things, comes with a carrier bag that allows for easy storage and carriage of all 12 instruments. Though the set is suitable for kids aged 3 and above, children less than three years can also use it under adults’ supervision just to ensure safety. Comes with 12 different musical instruments. All instruments are made from quality and nontoxic material. Excellent for individual as well as group play. Helps in developing children’s interest in music. Makes a nice gift for kids. Comes with a beautiful carrying bag that can accommodate all the instruments. Sold in a set of eight, the Rhythm Band 8-Note Handbell Set comes in beautiful designs and colors and has high quality tones which are lovely, clear and loud enough to hear from a reasonable distance. The bells come with handles that are long enough to make using them very convenient and fun. Numbered from 1 to 8 (C-c range), each bell is marked with a proper musical note to help your child to easily lean the musical scale. Another interesting thing about this package is that it comes with a small music sheet with which your child can learn music on their own. Equipped with all these fantastic features, this wonderful hand bell set can be used at several places and is ideal for a number of things, including teaching diverse musical beats and rhythms in the classroom during music lessons. 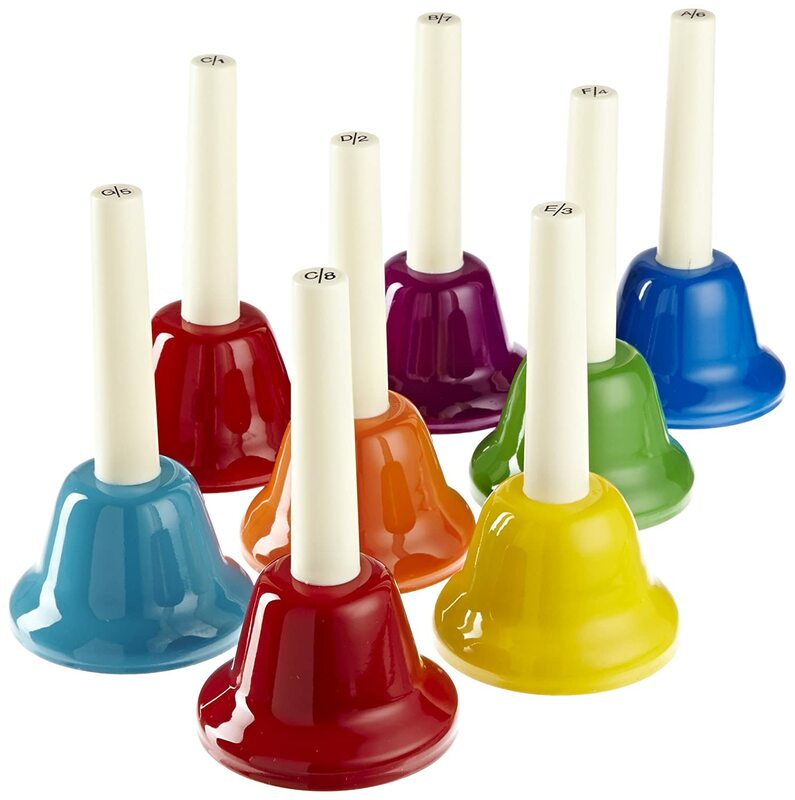 Also, the set of bells can be used by children at the daycare or to inject a lot of fun into group time/circle time. Set can produce a variety of pleasing sounds and tones. Ideal for use in a daycare, classroom, etc. All 8 metal bells come marked with numbers and notes to enhance the learning of the musical scale. 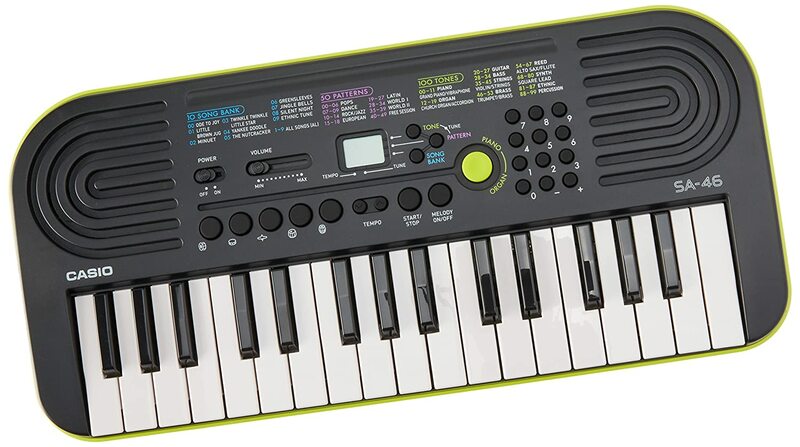 If you are thinking of buying a musical keyboard that has very powerful features yet comes at a reasonable price, then the Casio SA-46 -Key Portable Keyboard is one of the best choices to make. There are several reasons why this keyboard is one of the most sought after in its category. Some of these reasons include important features such as its 32 keys and eight-note polyphony which are enough for your child to play or learn how to play any simple music of his or her choice, a simple Liquid Crystal Display (LCD) to aid in the selection of any of the keyboard’s 50 rhythms/play along songs and the 100 timbres during play, a headphone output, and a switch to change between organ and piano sounds. Also, this product comes in multiple colors, namely gray, orange and green. The compact and lightweight nature of the SA-46 makes it very portable. And on top of all this, the keyboard is so fun to play with. Comes with 32 mini keys. Engineered with 5 drum pads. Has 50 rhythms and as many as 100 timbres. Available in 3 colors: Green, Gray, and Green. In the world of kids’ glockenspiels/xylophone, the Lyons 25-Note Xylophone (Glockenspiel) with Case is a giant thanks to its many impressive attributes. The Lyons 25-Note, which is not only very affordable, but also very quality, comes with 25 bars that are made up of chromatic and diatonic notes. 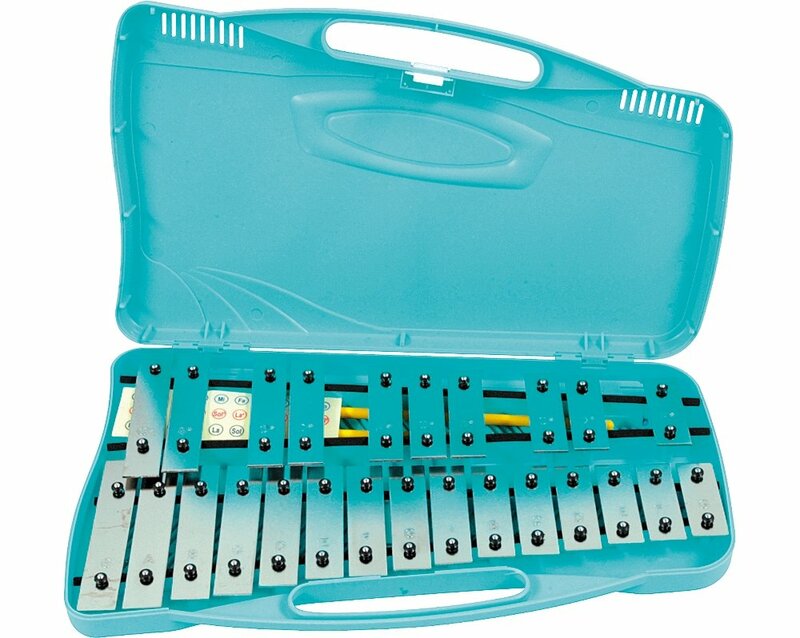 Other highlights of this glockenspiel/xylophone include its durable construction, its lovely and quality sound, and its sturdiness and durability. Also, the Lyons 25-Note is brilliantly tuned and comes with an elegantly designed carrying case, in which it has been permanently fixed in order to keep it safe when not in use and to facilitate easy carriage. In addition to the case, the Lyons 25-Note also comes complete with a pair of mallets made of plastic. Comes with notes engraved into its lovely -sounding metal keys. All the keys of the instrument come perfectly tuned. Comes with a pair of plastic mallets and a good looking carry case that keeps it safe and allows for easy carriage. Very fun to play and easy to learn. If you are looking for a Christmas gift that can introduce your kids to the world of music in a very engaging, exciting and fun way, then what you might want to consider are either the Remo RH-5600-00 Rhythm Club Bongo Drum – Rhythm Kids, 5″-6″ or the Remo RH-1206-00 Rhythm Club Konga Drum – Rhythm Kids, 6″ from one of the world’s largest drumhead companies Remo, Inc. – which was founded in 1957 by the legendary American jazz drummer Remo Belli. The Remo RH-5600-00 Rhythm Club Bongo Drum is a pair of bongo drums, which is suitable for ages 3 and above. With each drum coming in a different size (5 inches and 6 inches), both bongo drums feature Acousticon® shells which give them a denser and more pleasing sound. They also feature the famous Suede® drumheads that come already pre-tuned and sound wonderfully great all the time! All these attributes and many more allow children to thoroughly enjoy the fun that comes along with drumming. Furthermore, since the heads of the Remo RH-5600-00 are synthetic, things such as changes in humidity level or temperature don’t cause them to change in pitch. The Remo RH-1206-00 Rhythm Club Konga Drum, on the other hand is a konga drum that also comes with a Suede drumhead that is brilliantly pre-tuned and Acousticon shells that contribute massively towards giving it its renowned playful and very bright sound. 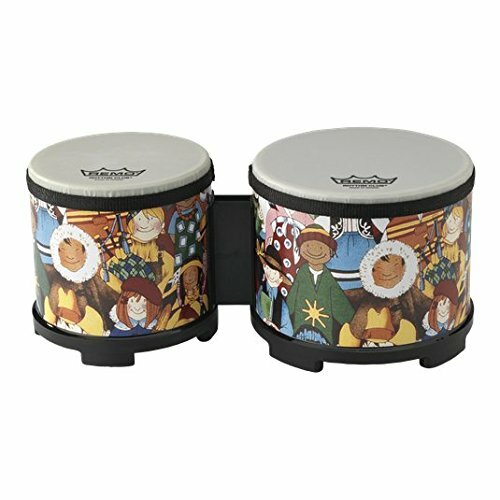 Coming with a brilliant Rhythm Club finish and measuring 6″ x 12″, this konga drum has been designed in such a manner that your child can play it while assuming a standing or sitting position. And what’s more, the drum is fun for all children, regardless of their gender or age. Designed to expose kids to rhythm in an exciting manner. Temperature or humidity change doesn’t cause a change in the pitch of the synthetic drumheads. Each drum has a base that is made of black molded rubber that is very durable. Made with pre-tuned Suede® and Acousticon® shell. If you are considering a device which can make a wonderful present for your child who loves music or for anyone you know who wants to learn how to play the piano, then one of the best gifts you should consider presenting them with is the NASUM 32 Key Piano Style Melodica. It might seem ordinary on the surface, but it boasts of very outstanding features which are hard to find in many a similar melodicas on the market. Some of these appealing attributes include a very exquisite workmanship, 32 piano-like keys, a wonderful sound, and a compact and very durable construction. The short mouth piece with which it comes with allows you to hold the melodica with one hand and use the other hand to easily play it. On the other hand, the long flexible straw of the melodica allows you to place it on a surface such as a table and play it in the same manner you would play a mini keyboard. Another very useful and fascinating feature this instrument boasts of is the fact that it does not need batteries nor electricity before it can be used, making it possible to use it wherever you find yourself. Also, the device is made of durable materials and is beautifully designed with black and white keys, which enhance the players comfort. It is also important to note that unlike other melodicas in its class, this melodica produces a sound even when you simultaneously hold down both the black and white keys. And last but not least, the package, among other useful things, comes with a bag for easy housing and storage when the device is not in use. Comes with 32 piano-like keys. Perfect for kids and people learning how to play the piano. Does not operate on batteries or electricity. Black and white keys that enhance users comfort. 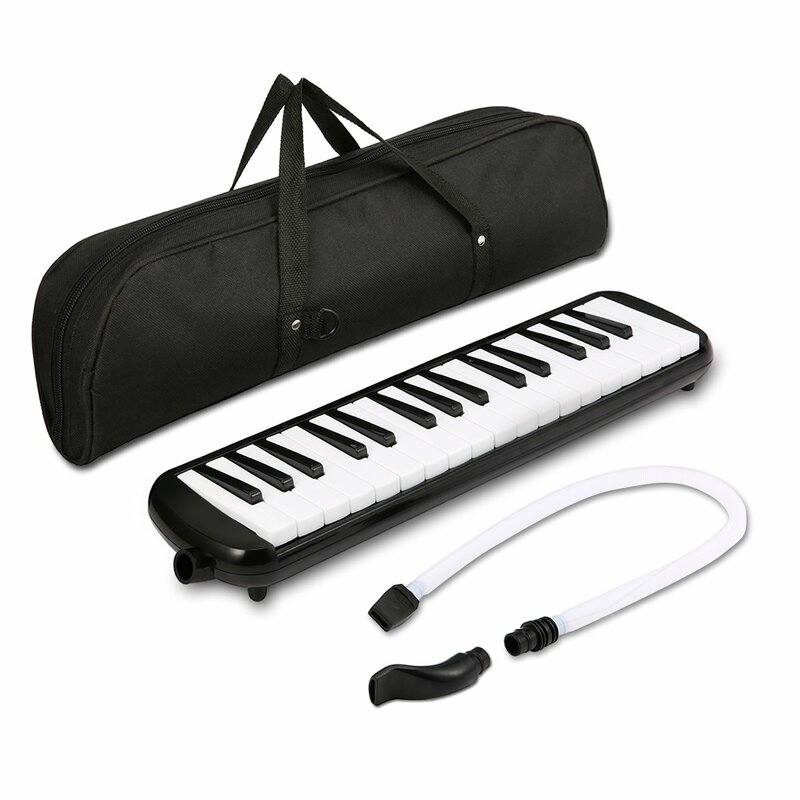 Aside the melodica, the package includes a short mouthpiece, a tube, a carrying bag, and a shoulder strap. 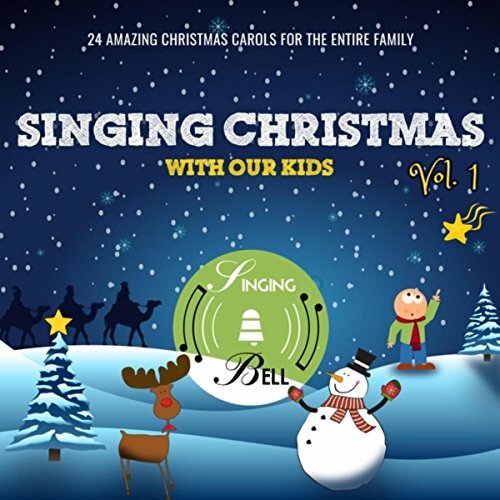 Another super cool gift you can present your children with on Christmas is the Singing Christmas with Our Kids, Vol. 1 album which generously contains as many as 24 heartwarming and very popular Christmas songs ranging from such legendary classics as “We Wish you a Merry Christmas” to “Jingle Bells” to “Joy to the World”. Sung by the beautiful and angelic voice of Franco-Armenian singer Sonia Ter Hovanessian, these touching songs would waste no time in putting your children and the entire family into the Christmas spirit and leaving your home filled with immense happiness! You can really make this festive season one to remember with this awesome Christmas album from Singing-Bell. 24 Christmas songs, including renditions of a number of famous Christmas songs originally sung in Spanish, Italian and French. Songs are sung by British/Franco-Armenian flautist and singer Sonia Ter Hovanessian. Contains the most popular Christmas carols ever released. 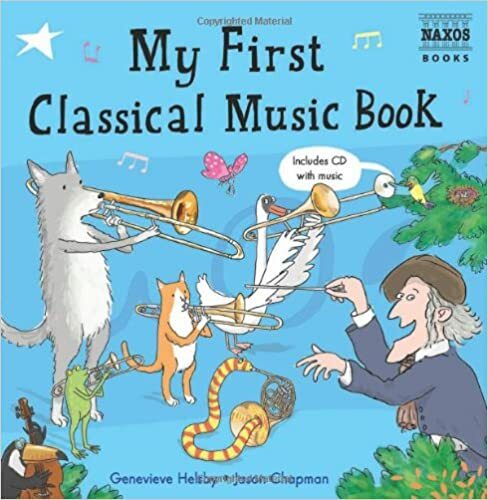 If you have children that are aged 5 and above, then one extremely cool music gift that you can use in making their Christmas a really fun and memorable one is the My First Classical Music Book. This top rated book authored by Genevieve Helsby and published by Naxos AudioBooks will leave children enchanted thanks to its richness in both text and beautifully colored illustrations. The book introduces children to classical music, various musical instruments and the works of several legendary composers including Beethoven and Mozart. Another great highlight of the book is its accompanying CD that contains several classics such as The Magical Flute by one of the greatest composers of all time Wolfgang Amadeus Mozart and Peter and the Wolf by renowned Soviet composer and conductor Sergei Prokofiev. As your child reads the book, the author constantly refers them to this CD so that they can hear examples of the things that they read and see in the book, thereby creating an extraordinarily wonderful experience for them. Despite the book being recommended for children between the ages of 5 and 7, it can be practically enjoyed by anyone. The quality of the recordings on the CD that the book comes with is great. Fun for children and contains child-friendly information about several famous composers, including Mozart and Beethoven. Can be purchased in hardcover and paperback. There are several piano apps on the market, but not too many are as outstanding as the Piano App for Kindle by Yokee. 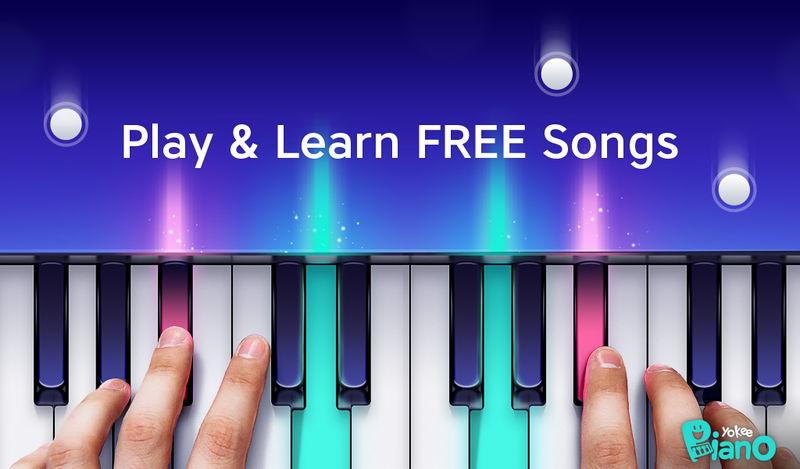 This app comes loaded with a lot of appealing attributes that can easily make you play like a professional pianist in no time even if you have no knowledge about how to use the piano. The app allows you to enjoy 30 seconds preview of the melody of each song in order to make it easier to learn how to play the song. Also, this smart app allows you access to diverse genres of music ranging from classic rock to popular hits to rap songs. What makes the use of this app more fun is that you can also challenge your friends on platforms such as WhatsApp, Twitter and Facebook to see who is a better piano player. Another remarkable feature which sets this app apart from others is its duet style feature whose function is to allow both the user and the app to play different parts of the same song at the same time. Furthermore, the app comes with famous songs such as “Let it Go” from Disney’s Frozen, “Chandelier” by Sia, Bohemian Rhapsody by Queen, and others. And there’s more! The more you play this app, the more coins that you generate to unlock several more songs! Comes with tutorials that can be understood very easily. 3 different difficulty levels for playing each song, ranging from beginner to advanced. Gives the user roughly 30 seconds of preview of each song so that they can learn the song’s melody. Has a huge collection of songs and musicals that cut across several genres. And finally the last item to make it into this list is the BestGot Over Ear Headphone – an item whose absence would have made this list incomplete. 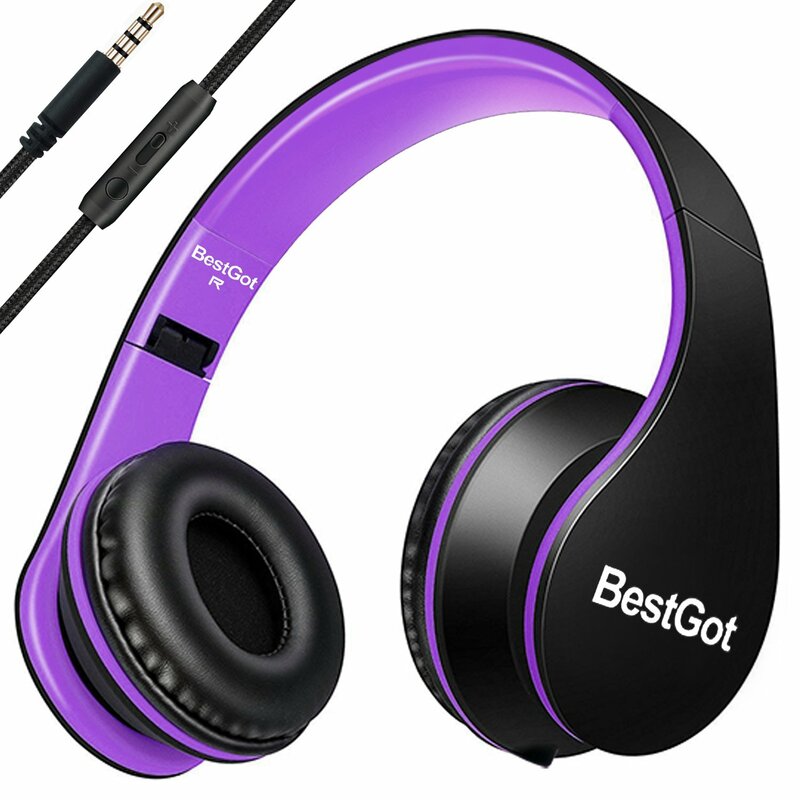 This BestGot Headphones comes packed with amazing features that not too many headphones on the market can boast of. Some of the most prominent features of the BestGot Headphones include the in-line microphone that is embedded in the cord, an inbuilt signal wire for the microphone whose main job is to reduce the amount of interferences, a brilliant sound quality, and a lightweight yet sturdy construction. The in-line control of the headphones allows the user to easily answer calls just with the press of a button when it is connected to their mobile phone. This same feature also allows the user to easily play or pause a track that is playing. Owing to the lightweight nature of this on-ear phone BestGot Headphones, you don’t have to worry about it getting heavy and causing discomfort when you are using it for very long periods of time. The headphones’ soft and well padded ear-pads also contribute massively in enhancing the wearer’s comfort during extended use. In addition to its lightweight design, the detachable 3.5mm audio cable it comes with allows for easy storage and carriage in the outstanding storage bag that is included in the package. When it comes to the issue of compatibility with other devices, the BestGot Headphones is fully compatible with almost all Android devices. It is also partially compatible with devices using IOS. Durable yet has a lightweight design. Comes with a wonderful sound effect. Has a 3.5 mm plug that is compatible with every 3.5mm jack device you can think of. The foldable nature makes it easy to store and carry. Comes with a bag that is almost completely waterproof. Available in several appealing colors. Comes with a removable cord. Fully compatible with the majority of devices that use Android. Partially compatible with electronic devices using iOS. It is a fact that the lights, bells, food, and winter chills, make the Christmas experience very interesting for both young and old in the home. But without doubt, presenting gifts to your children crowns the experience by revealing the very reason for Christmas, which is love. We believe that after going through this post you have found another brilliant way to make this Christmas celebration one that would be forever cherished and remembered by your children. Our advice to you is this: Waste no more time! Go ahead and present your children with the gift of music this festive season by giving them any of the top rated items listed above.